ProTiltshift allows video editors to create the illusion of a miniature scene using selective focus. To use ProTiltshift, browse effects section and place tilt shift onto footage in the Final Cut Pro X timeline. Next, cut-out the subject with the intuitive built-in masking tool and utilize the feather slider to soften the mask. Lastly, use the blur slider to determine the degree of focus on the selected area. ProTiltshift features a built-in masking tool that allows users to expertly an area focus with the click of a mouse. Start by clicking on the screen to create points to surround the subject. Double-click a point to change its interpolation from linear to curved. “Command + Double-click” to delete a point. Double-click the line to add a point. Pixel Film Studios’ built-in masking tool makes it easy to achieve a precise cut-out. This plugin is built to work in the latest version of Final Cut Pro and MacOS. We recommend updating to the latest version of these softwares through the App Store to ensure that the plugin works correctly. Where do I find ProTiltshift? 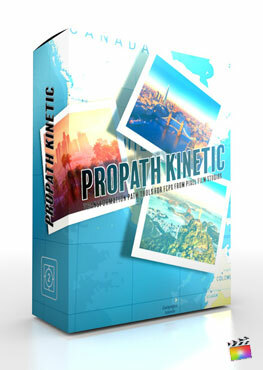 Once the installation is complete, you can find ProTiltshift in the FCPX Effects library.